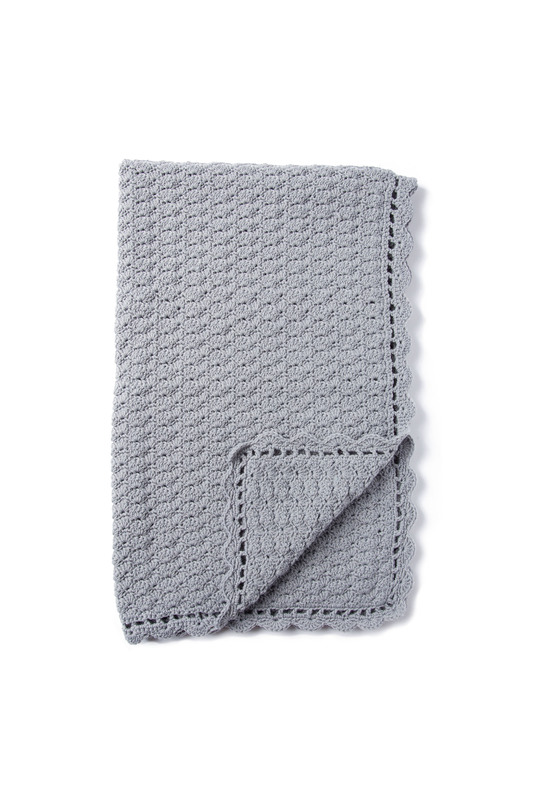 This crocheted baby blanket features an allover shell pattern and a generous size for wrapping up your bundle of joy. 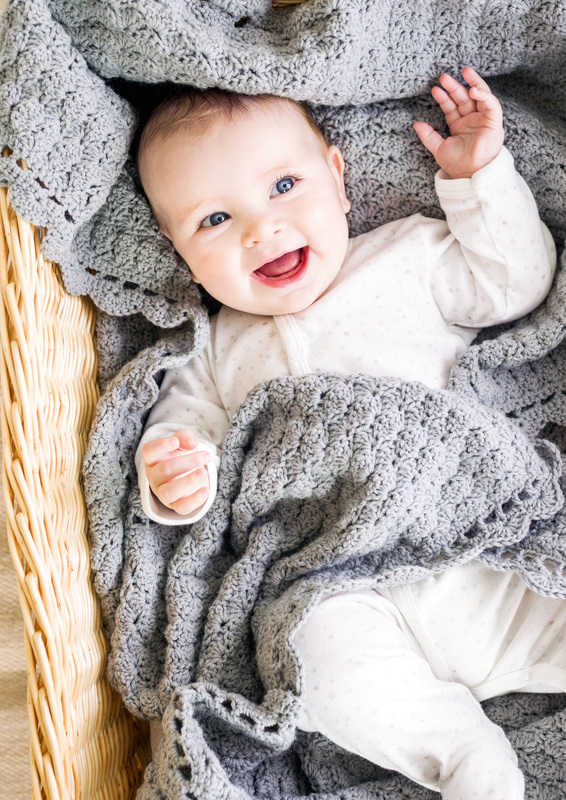 Choose from Baby Smiles Merino Mix, Baby Smiles Bravo Baby 135, or Baby Smiles Super Soft, all three will be extra soft on your baby’s skin, chemical free and easy care, and offer a great range of colors. One generous size approximately 30 x 47 ½ inches (77 x 121 cm).